That people are unaware of this amazing place nestled in the hills of Himachal Pradesh was both a relief and a treat because it obviously meant lesser crowds. 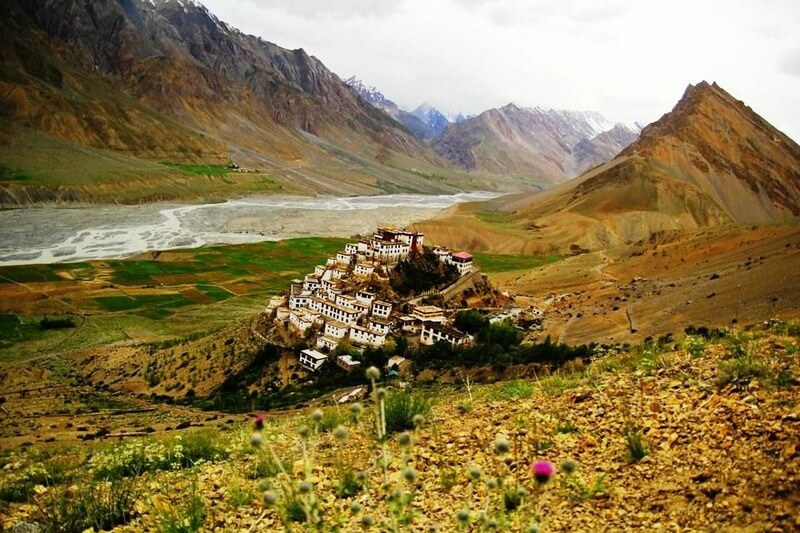 Spiti Valley for some reason is not as well known as Leh of Ladakh district in J&K. 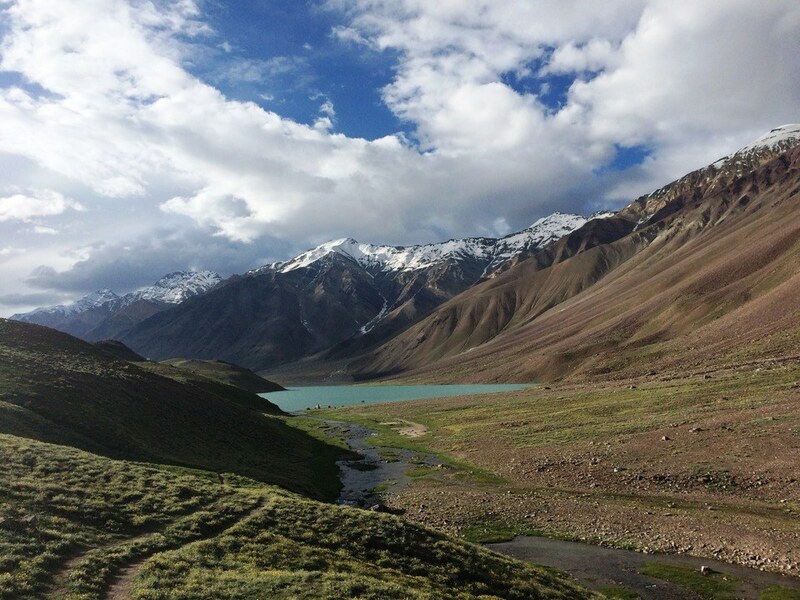 Any time I told someone that I am heading to Spiti for a month, they gave me “where the hell is that?” look. That people are unaware of this amazing place nestled in the hills of Himachal Pradesh was both a relief and a treat because it obviously meant lesser crowds. 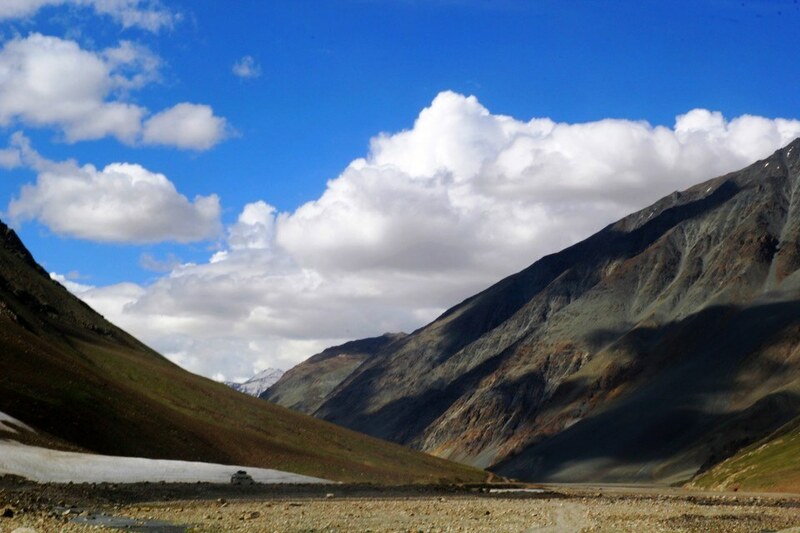 While Leh is a luxury in the world of road trippers who seek seamless roads for pleasurable driving, roads to Kaza (especially from Manali) are anything but that! 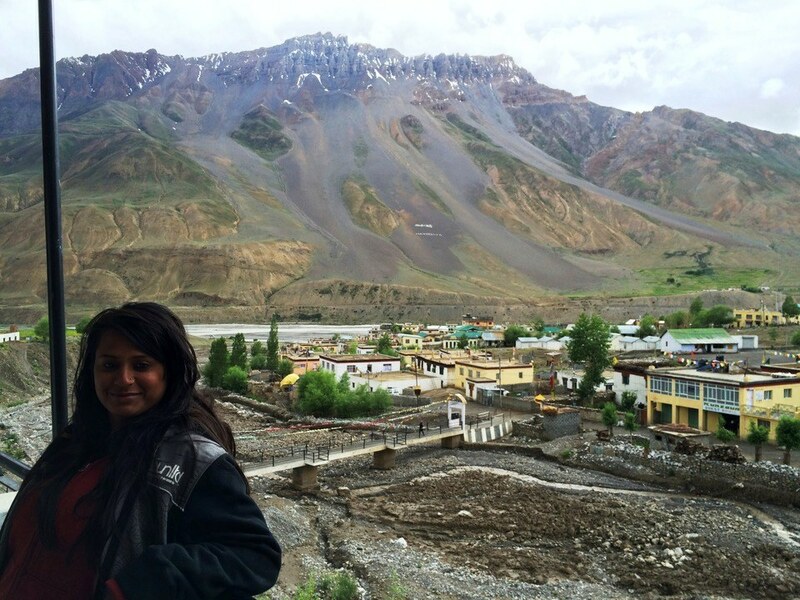 We began our sojourn from Manali towards Kaza via Chandra Taal, a mandatory stop! Still no state buses plying on these routes, we scored an awesome deal with a cabbie who drove us from Manali via Chandra Taal to Kaza at a measly Rs. 8500/-. Believe me it was very reasonable, considering that there was no other way to reach Spiti other than cabs, shared or otherwise. 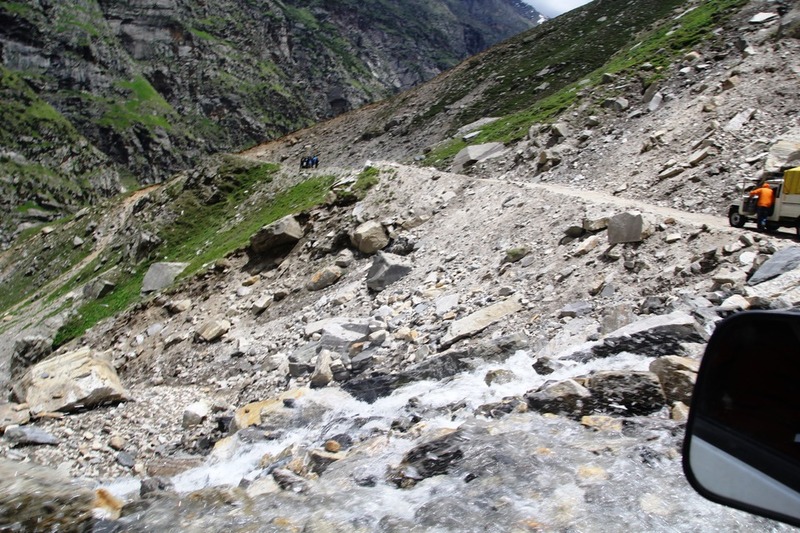 Thanks to our driver and his experience, he breezed through the tarmac-less road and crossed the many nullahs that came along the way due to approaching monsoon and melting snow. After sitting through the arduous journey up to Batal, it was very refreshing to see that Chandra Taal was only a few kilometres away. We drove up to Chandra Taal on a treacherous road that can only accommodate one car at a time; we were finally left off at least 1.5 km before the lake as beyond this point the cars cannot go. We started walking on the path and were greeted with shortness of breath. We are still to acclimatize to the height of 14,000 ft! As we braced ourselves and resumed the short walk the turquoise, the crescent shaped lake came into view. It was perhaps my most exhilarating moment because I don’t remember a time when I wasn’t planning a trip to Chandra Taal from Delhi. It was one of the most beautiful sights I have ever seen. The blue of the lake, green of the lands and brown and white of the mountains made the whole landscape look like a rainbow. Sitting around its pristine waters for a while, we made back to our camps to spend the rest of the evening doing quintessential camping gig of a bonfire, rum and guitar! As it began to rain, we ran back to the comforts of our tents and slept the night away. Next morning we woke up, ready to continue our journey to Kaza, the capital of Spiti in the district of Lahaul and Spiti. 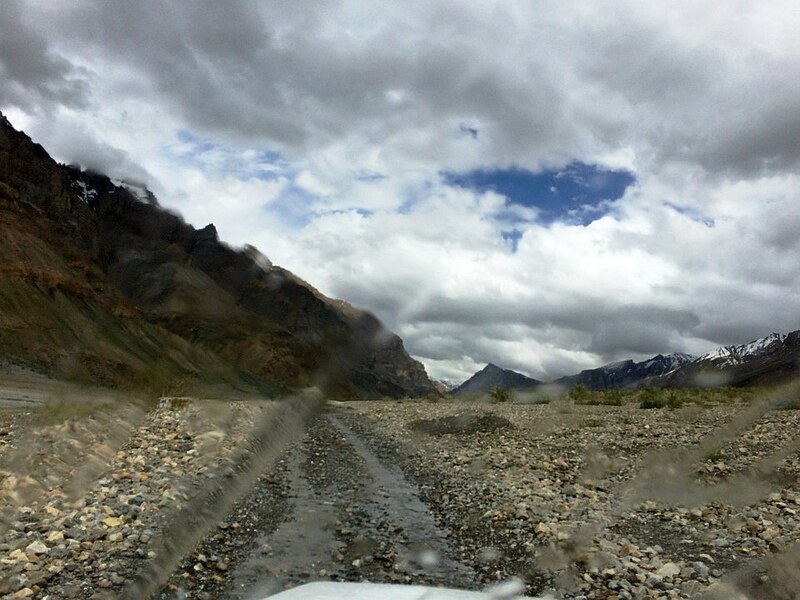 The journey was a visual treat with rolling hills of varied colours, Spiti River abreast and the dangerous roads that make it an adventure it is known to be. 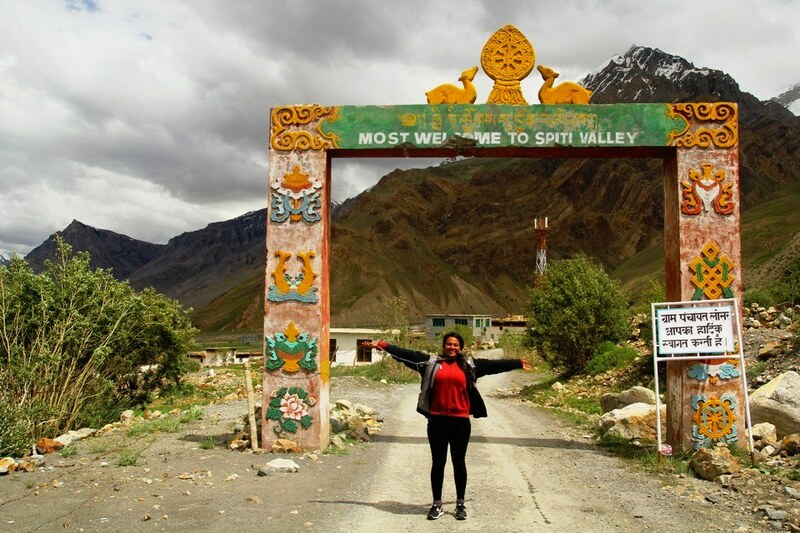 We arrived at Kaza and headed straight for Zangchuk down the main road that came highly recommended by the travellers we met at Chandra Taal. We decided to follow their good advice and booked the rooms. The rooms were airy, fresh and better than any other place we stayed at so far. Zangchuk was a good choice and more so for the price we were paying it was definitely a kill! 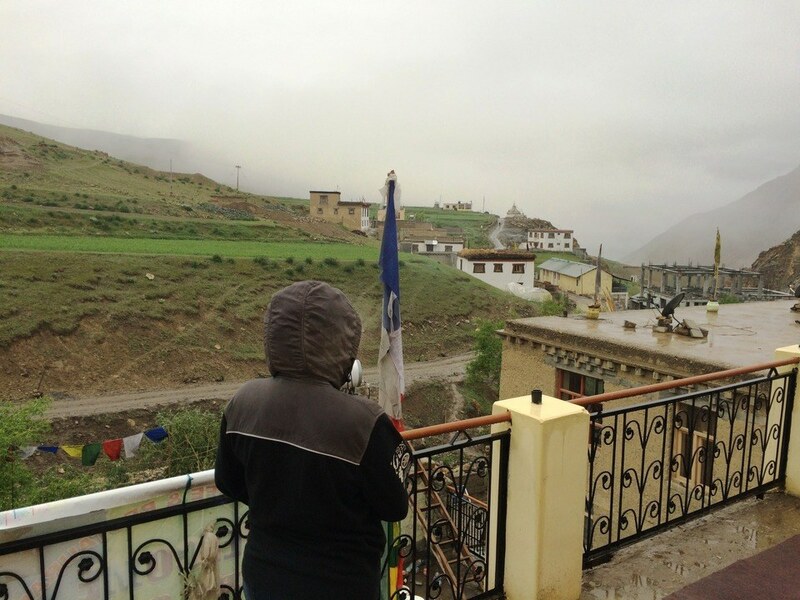 Awesome view of the valley outside our balcony and the Spiti River made it just the perfect place for us. After freshening up, we explored Kaza a little, walked on to their only street and enquired about Kibber Village. Equipped with all the information, we decided to leave for Kibber next evening. 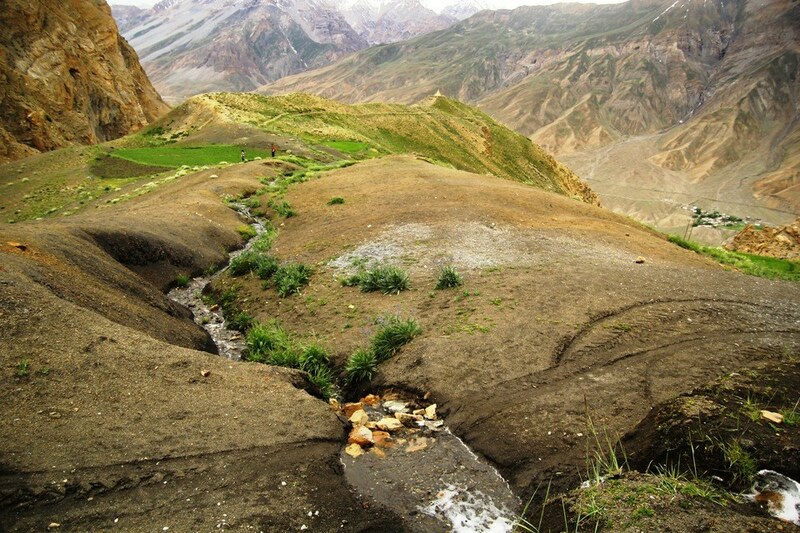 Kaza is like a base camp for travellers who want to explore the valley. 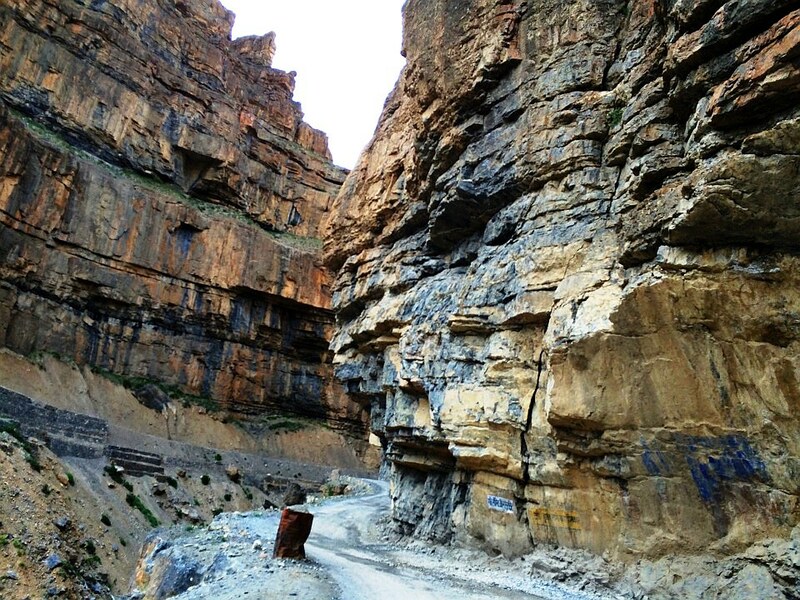 Either you walk from one village to another through the high mountain passes or you can come back to Kaza and take the bus up to next location. Many travellers take either of the two or both options. We were amongst those who took the latter. We took the bus up to Kibber village next day from Kaza. The bus starts at 5 PM every day from the bus stand and then stops at Kibber overnight to take the passengers back to Kaza next morning at 8.30 AM. Boarding the bus next day, we began our short journey of approx 20 km. Soft drizzle in Spiti painted the whole valley a different colour of brown that looked so breathtakingly effortless yet stunning. I didn’t even realize when we reached Kibber making a journey of over an hour. The first look of Kibber had a rural vibe with strong Tibetan influence on the architecture, food and culture. It is amazing to see life sustain at such heights even when there is an acute lack of basic facilities. Just outside of where the bus stopped was Serkong Homestay where we stayed for the night. It was so basic, so simple and yet so inviting. The thing about living in authentic homestays is that you feel welcomed, not because you are giving them money for your stay but because they greet their guests with a genuine smile and warmth. Our host was a very humble man with a large family to support and small home to give out to guests like us who come this far not for luxury but for the experience. We in our city lives are miles and miles away from the real struggle of existence. Their home was simple, their people heartwarming and their culture so honest. In this homestay, I was introduced to the beautiful Sonam who was a 3-year-old girl with big dreams. I was amazed at the excitement in her voice when I was talking to her. She hugged me and sat close to me, enjoying our little talks of leaving Kibber and staying in Delhi! The next daughter of the family was Kesang, married and living in Kaza, she was visiting her family in Kibber with her two daughters. I was so proud to see that even though these people are virtually unexposed to the western ideas of female equality, women in their homes were fairly emancipated which was a welcome sight. Kesang was encouraged by her husband to work as a teacher so that she could supplement the family income and help their children study well. I was so happy to talk to her because somewhere my faith in humanity was being restored. Sitting in the warmth of their kitchen, I thought of cooking our meals for the night. Since I don’t trust my culinary skills all that much, I decided to make Wai-wai noodles for everyone. The noodles turned out ok and we called it a night because we had a trek lined up for us the next morning. Trekking from Kibber to Key via Gette is not unheard of but not popular either. 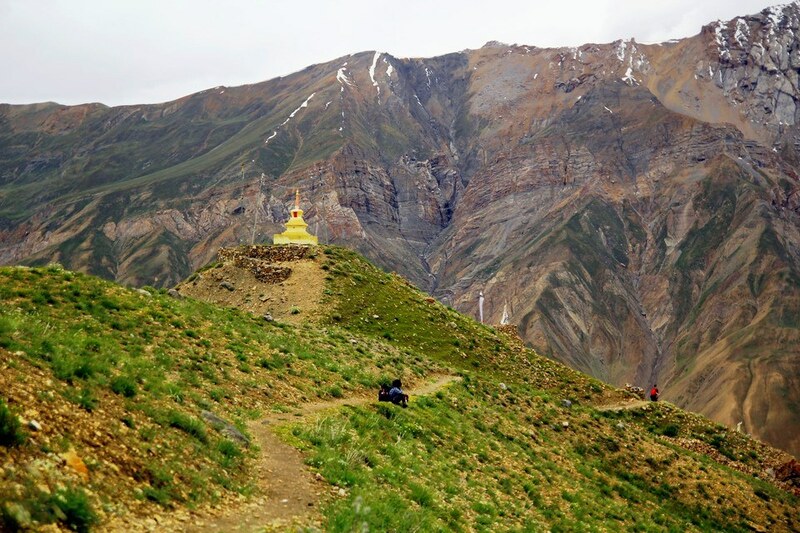 I was told that the trek on this route offers breathtaking views of the monastery so we thought, trek it is! Starting in the morning around 10 a.m., this trek was supposed to have been simple. It takes locals about 1-1.5 hrs to reach Key from the mountains and our fair guess was that we will reach Key by lunch time in 4 hours. Did we get there in time for lunch? No! We took 7 hours from Kibber to reach Key! When we started from Kibber, we were told to follow the electricity poles and we will soon reach a point from where we need to trek down. The seemingly straightforward walk became arduous as we had heavy backpacks and ate nothing for breakfast. After walking for some time with no trail in sight, we started looking for a local person to ask for directions. 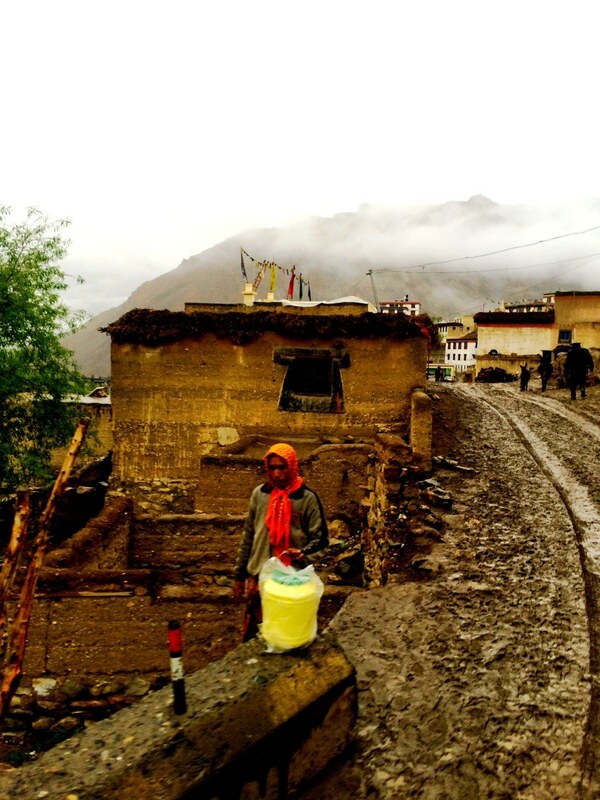 But soon the most amazing thing about Spiti became a problem for us. There was not a single person in sight who could give us directions. In the mountains, lost and nothing to eat, we started experimenting with the trails. We walked on a slim drain with a 50 ft drop on one side and mountains jutting on another, took insane shortcuts like climbing up straight mountains with bare hands and heavy backpacks pulling us down, 6 people fed on a single cucumber and one of us crying in exasperation that we are truly lost and should have taken the road instead! As if by a stroke of luck we found some people working in the area who pointed us to the trail that led to Gette and then down to Key Monastery. Trekking down was actually tougher than we thought. The very steep trail covered in pointy rocks was making our lives so much more difficult. 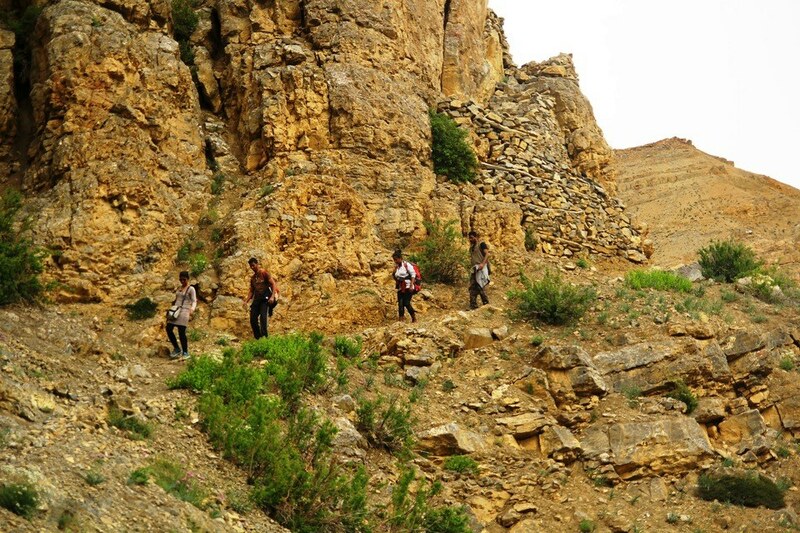 The path was so rocky and sharp that we had to apply a lot of pressure on our legs to prevent from falling. As we descended further, soon a breathtaking view of the monastery complete with Spiti River and the mountains in the backdrop emerged. It was one of the godliest sights and I suddenly forgot about the misadventure of being lost and still much of the trail left ahead of us. After admiring the scenery, we started walking again and shortly reached our destination that became visible a while ago. We bunked at the monastery paying Rs. 200/- inclusive of food and bed for the night. Staying there was an experience in itself amid tolling bells, a light drizzle of the rain and soft light of the candle lighting our room. As the sun was setting, I saw twilight blue casting its shadows onto the landscape, painting everything in the shades of approaching night. 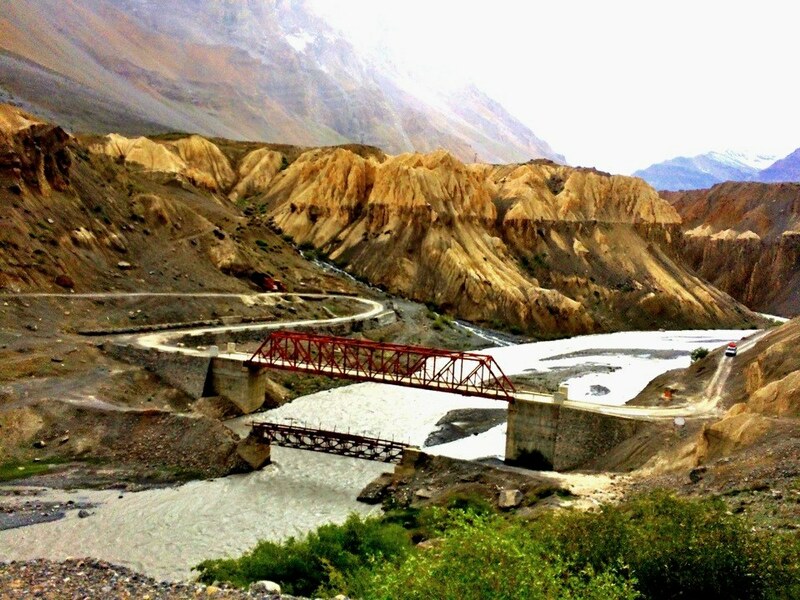 Spiti River snaking across the valley was only making it all the more mesmerizing. The service at the monastery is better than any hotel that you will ever get. When we were too tired to go down to the kitchen to have our evening tea, the monk came up asking why we didn’t come and realizing that we were tired, brought us tea up to the room. 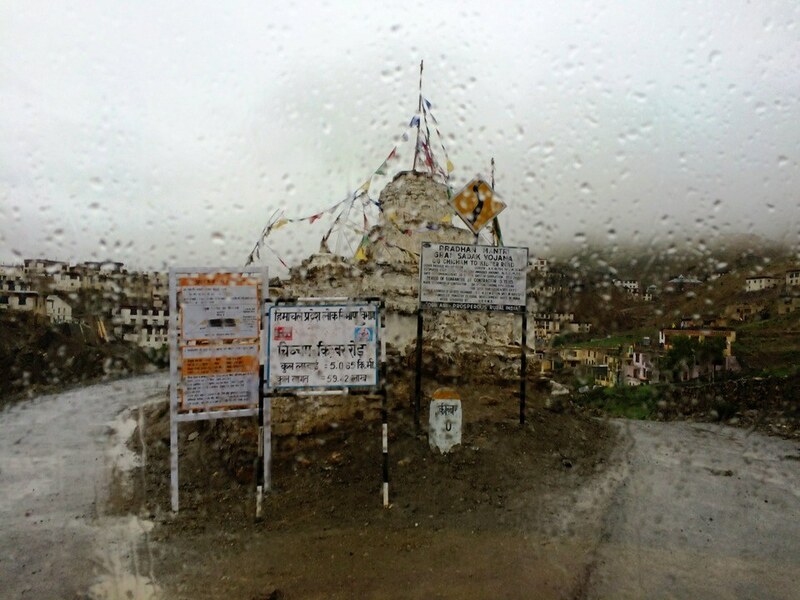 As we woke up just in time we rushed down to catch the bus that starts from Kibber to go to Kaza via Key Monastery. 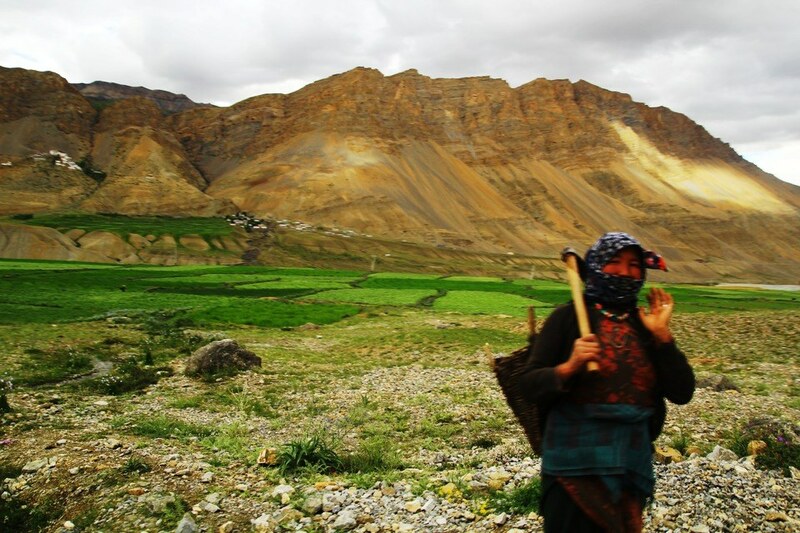 Kaza is the central point for all the destinations across Spiti Valley. So it would be a good idea to take an overnight bag rather than carrying your backpacks because regardless of where you go, you have to come back to Kaza. 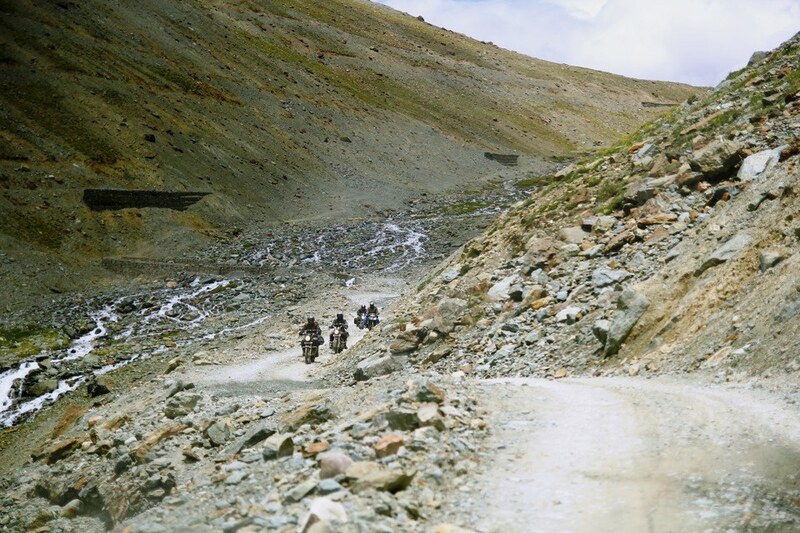 The first leg of Spiti, that is Kaza, Kibber and Key opened at a good note. There was still a lot more to see, to explore, to experience. Find out my other amazing escapades over at Instagram.